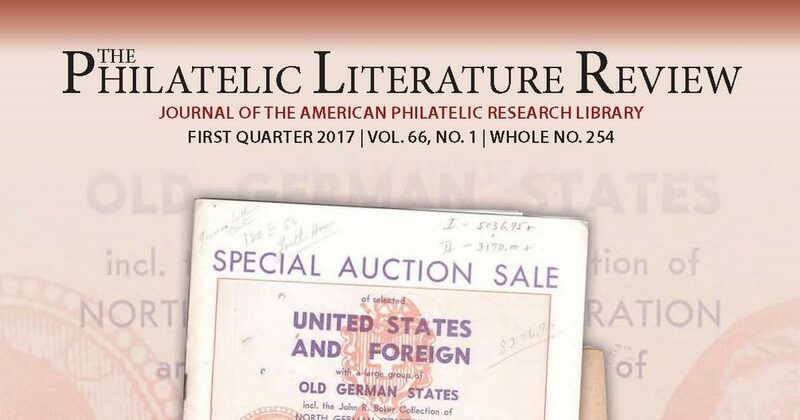 The online edition of the Philatelic Literature Review 1st quarter 2017 issue is now available to subscribers. If you are a PLR subscriber and we have your email address, you should have received an email with instructions for accessing the online edition. 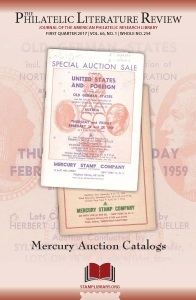 The 1st quarter issue features two articles on auction catalogs and an article featuring search tips from APRL Reference Assistant Scott Tiffney.